That is precisely why I have undertaken this weekly project: tabulating the statistical differences (and sometimes similarities) between each of the fifty states and the United Kingdom. 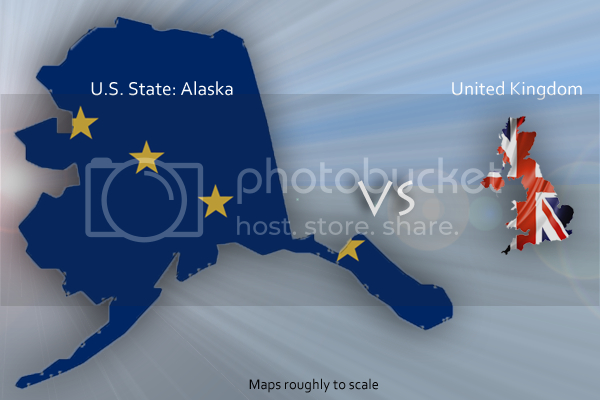 This week, we're going to assess how the state of Alaska—itself approximately 7 times the total area of England, Scotland, Wales, and Northern Ireland combined—shapes up against the UK in each of the data areas listed below. (Provided the older person is not in a position of authority).